I read an interesting post called "Jumping Off the Social Media Cliff" which raises a great question, "Are you a lemming or a base jumper?" In other words, are you embracing social media because "everyone else is ..."
Chasing after the competition into Facebook, Twitter and blogging without a plan is the Lemming approach. You can almost visualize swarms of companies jumping off into the abyss following competitors, self serving social media consultants and momentum created by mainstream media hype, each yelling “weeeee, social meeeeeedeeeeahhhh” and then realizing (maybe too late) with wide open eyes that they’re not prepared (no social media policy, no roadmap). There’s no chute, and the ground is coming up fast. The reference is lemmings blindly committing suicide by jumping off cliffs in the Arctic is a bit of an urban myth. Contrary to what you may think when view the above Disney clip from the movie White Wilderness, lemmings do not hurl themselves off of cliffs and into the sea. The film crew induced lemmings into jumping off a cliff and into the sea in order to document their supposedly suicidal behavior. According to snopes.com, rodents actors were placed on a snow-covered turntable and filmed from various angles to produce a "migration" sequence. Next the creatures were transported to a cliff overlooking a river and herded into the water. The entire sequence was choreographed using a handful of lemmings photographed to create the illusion of a large herd of migrating creatures. I like how she connects the dots between objectives, listening, relationships, and platforms. I sure agree with Nina's secret sauce and the need to listen all through the journey. As for objectives, I'm not too sure how valuable they are. I didn't have an objective when I started blogging and neither did I have one with twitter. Both of these media are exceptionally valuable to my professional life. Objectives can be limitations. 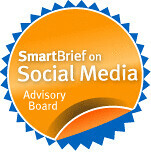 Harold has a great point--sometimes with social media the best strategy is to jump in (in fact a recent study on foundation communications, "Come On In, The Water's Fine" is at http://comeonin.typepad.com/). Sometimes we use the metaphor that learning to do social media is sort of like learning to play video games... ask anyone who plays games how they learned and the answer is almost sure to be 'I learned by playing'--that is, not by reading a rule book or deciding ahead of time, "What's my objective in playing this game?"